This is the Yamakatsu hard vinyl figure of the Mothra Larva that was issued in 1983. The coloration and the pose are the nicest in our opinion of all mothra larvas. It is approx. 6 inches long. Never came with tag, only a toho sticker on its belly. Good condition with sticker on belly. 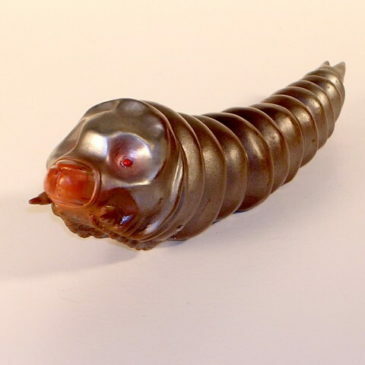 This is the Yamakatsu hard vinyl figure of the Mothra Larva that was issued in 1983. This is the most interesting pose and coloration of all the mothra larvas produced in our opinion. It is approx. 6 inches long. Never came with tag; only a toho sticker on its underside. This one is in Good condition; it has some paint rubs. There is no sticker on belly. It also has a previous price tag ink mark on the underside. 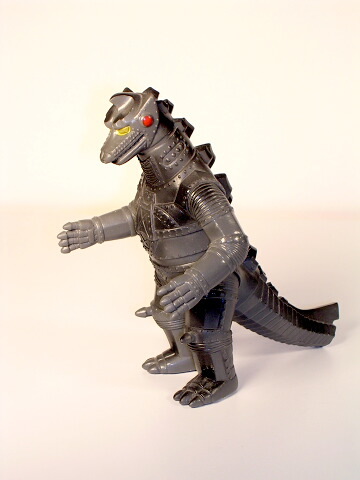 This is the Yamakatsu hard vinyl figure of the Baragon that was issued in 1983. It stands approx. 6 inches tall. Never came with tag, only toho sticker on its foot. Excellent figure with no sticker on foot. This is the Yamakatsu hard vinly figure that was issued in 1983. Articulated. Never came with tag, only Toho sticker on foot. This is the hardest to find of the Yamakatsu figures: The Mecha Kong. 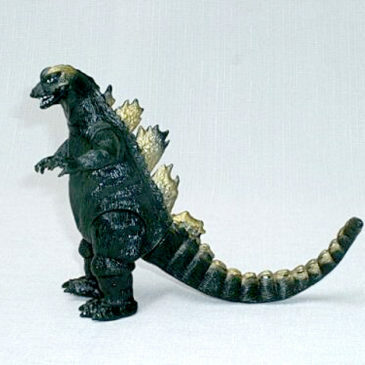 Yamakatsu produced a series of Godzilla figures in 1983. These were more realistic looking than the Bullmark or Popy Figures. They were not issued with tags. However they were issued with a bandai sticker on their feet. This series of figures have a certain charm about them. The Mechani Kong is the best sculpt in the series in our opinion. It stands about 5 inches tall and was produced by Yamakatsu in 1983. This one is in Excellent to Near Mint Condition. It does have some paint rubs and scuffs on its body. 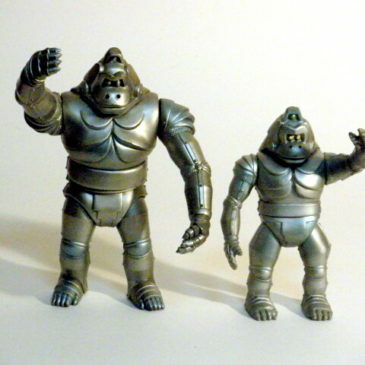 We have included a photo with the Larger Bandai 1991 Mechani Kong to show the differences in figures. The figure for sale is the Yamakatsu only. 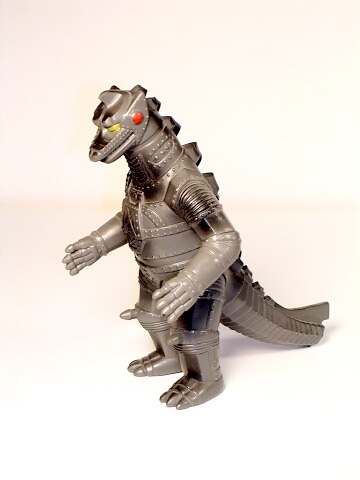 This is the classic Baragon made by Yamakatsu Company in 1983. 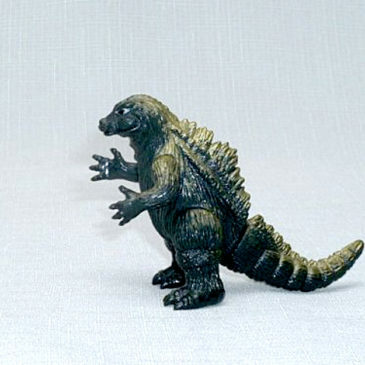 Yamakatsu made a line of Godzilla Toys before Popy/Bandai produced their first Godzilla line. The Baragon stands approximately 7 inches tall and 9 inches from tip of horn to end of tail. He is a warm brown color with very minimal paint rub; just on the tip of his horn. He comes with his original sticker on his foot. Yamakatsu figures were not released with tags only stickers. Please scroll down to see additional photos. 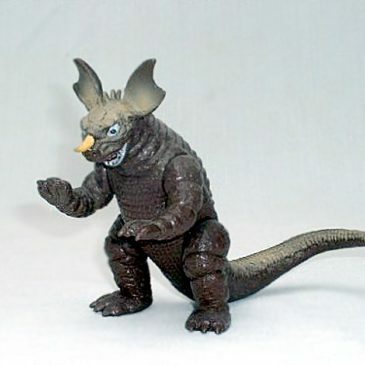 This is the Yamakatsu hard vinly figure of the Baragon that was issued in 1983. It stands approx. 6 inches tall. Never came with tag, only Toho sticker on its foot. Near Mint figure with sticker on foot. 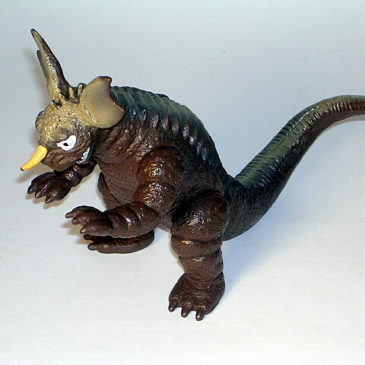 This is the Yamakatsu hard vinyl figure of the Baragon that was issued in 1983. Yamakatsu predates BandaiCompany. These are collector items. It stands approx. 6 3/4 inches tall. Never issued with tag. 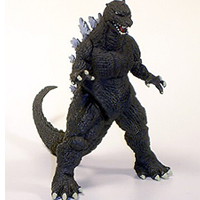 It comes with the Toho sticker on its foot.